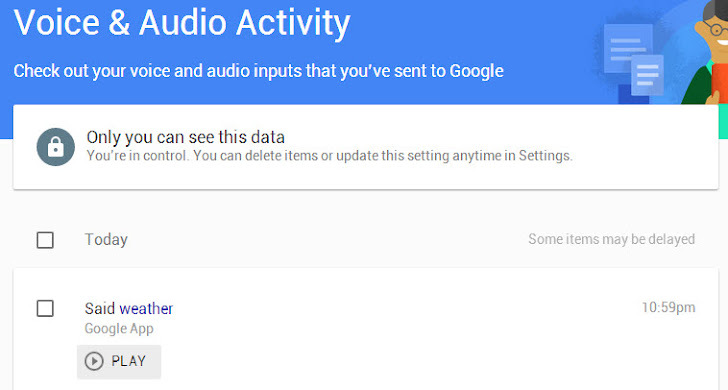 OK, Google is Listening… and Recording too. Google is not just listening to your searches, but the search engine is also recording and storing every single voice search you make. Google is incredibly accurate at understanding your voice. The company secretly stores its users' searches from its voice-activated assistant Google's Voice Search and search feature Google Now to turn up relevant advertisements as well as improve the feature. But what many of you do not realize is that after every voice searches you made, Google makes a recording of it and stores it in a remote part of your account. However, it's no surprise to know that Google is recording our voice because it's nothing new, but it made me really scary when I heard myself so cleared. Listen to your own voice recording by visiting your "Voice & Audio Activity" page in the Google Dashboard and you will find a list of all the voice searches you have made. The Guardian's Alex Hern was the most recent one to point out this feature. Alex accessed the entire archive of his voice recordings from Google Now and felt a little weird to listen himself. How to Delete All Your Stored Voice Records? Thankfully, you can delete your voice recordings. That's easy. If Voice and Audio Activity is turned ON, you will find a list of all the voice commands you have made to Google Now, along with buttons next to each one of them that will let you play them. From there, select one or more or all of the recordings from the Checkbox, and hit "delete" button at the top of your system's screen. 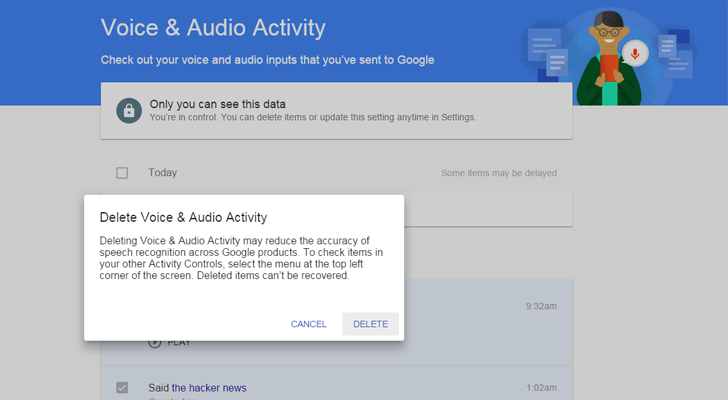 There is a way to turn OFF Voice and Audio Activity on your Google account, but unfortunately, this will not stop Google from recording your voice. So, just avoid Google Now feature to prevent yourself. You can share your experience with us after listening to your voice recorded by Google. Let us know in the comments below.